Ball Clay by Eric Minerals India Pvt. Ltd.. Supplier from India. Product Id 872925. Eric Minerals India Pvt. Ltd. 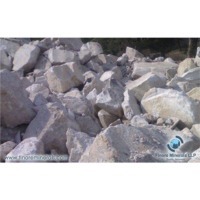 Uses: Sorted High Plasticity White Ball Clay Typically Used In Vitrified Tiles, Ceramic Bodies, Sanitary Ware. 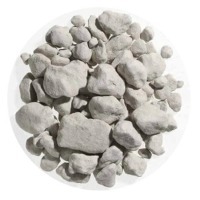 Ball Clay is a variety of Kaolinite, like china-clay. It differs from china-clay in having high plasticity and less refractoriness. In chemical composition, ball and china clays do not differ greatly except that the former contains a larger proportion of silica. It has derived its name from the practice of removing it in the form of ball-like lumps from the clay pits in the UK. Ball clays are kaolinitic sedimentary clays that commonly consist of 20-80% kaolinite, 10-25% mica, 6-65% quartz. Localized seams in the same deposit have variations in composition, including the quantity of the major minerals, accessory minerals and carbonaceous materials such as lignite. They are fine-grained and plastic in nature, and, unlike most earthenware clays, produce a fine quality white-coloured pottery body when fired, which is the key to their popularity with potters. Ball clays are relatively scarce deposits due to the combination of geological factors needed for their formation and preservation. Ball Clay: A member of kaolinite family, Ball Clay is renowned for its plasticity and green strength. 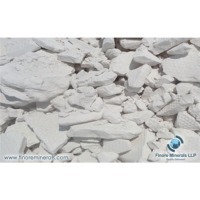 They consists varying proportions of kaolinite, mica and quartz, with small amounts of organic matter and other minerals, and are commercially values because they increase the workability and strength of various ceramic bodies and have white or near white firing characteristics. Ball clay is processed to minimize the levels of coarse particles. This enhances better workability and higher strength. Applications : It forms a major part of many ceramic applications, including sanitary ware, tiles, table wares and to an increasing extent non-ceramic applications like functional fillers and advanced application for example technical ceramics. 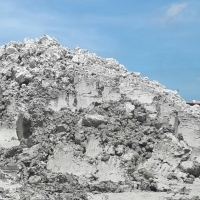 Ball Clay : Save 20% Off Clay Purchase With Us Price Of Product ( Usd Price Or Fob Price) : Usd26/tonne For At Least 10,000 Mt Purchase, Fob Lumut Port Product origin : Taiping, Perak. Malaysia Chemical analysis : Si02 : 57+/-2.00 Al203 : 29+/-0.30 Fe203 : 0.70+/-0.30 Ti02 : 0.70+/-0.30 Cao : < 0.5 Mgo : < 0.5 K2O : 1.20+/-0.30 Na20 : < 0.5 LOI : 12.50+/-1.0 Minimum Order Size and Packgaing details : Bulk shipment and jumbo bag, depending on quantity ordered. Ball clay is a mineral which is rare and found only in few places around the globe. It is used for manufacturing ceramic products like ceramic tiles, sanitary ware, table-ware, ceramic porcelain, etc. 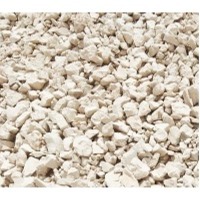 We offer more than 30 varieties of ball clay to cater each of your demand and supply what best suited to your product. We regulate a through quality control process and timely quality check procedure through a chain of quality control supervisors and sampling from random batches in our in-house lab, which helps us to provide our customer with the best possible quality. 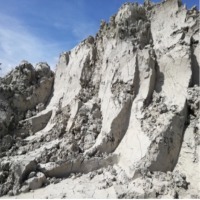 The properties of our ball clay include: High plasticity Good MOR (modulus of rupture) (Flexural strength) Good Whiteness Low residue Controlled shrinkage and water absorption No calcium content Feel Free to contact us for best quote. 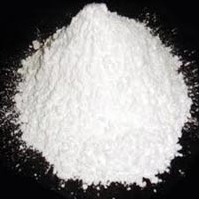 Calcined Kaolin (Kaolinite) is an anhydrous aluminium silicate produced by heating ultrafine natural kaolin to high temperatures in a kiln. 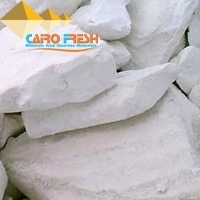 The calcination process increases whiteness and hardness, improves electrical properties, and alters the size and shape of the kaolin particles. As a leading Supplier and Exporter of Chamotte (China Clay), We ensure that our clay and Minerals are made as per the international standard and norms. Packed in high quality packaging materials, our Kaolin is offered at very cost effective prices, without compromising outstanding quality and purity. China Clay: China Clay is a clay mineral with the chemical composition AlSiO3O5(OH)3. It is layered silicate mineral. It is soft earthy, usually white in color, produced by the chemical weathering of Aluminium Silicate mineral like Feldspar. Commercial grades of China Clay are supplied and transported as dry powder form, semi dry noodle form or as slurry. Applications: - It is used in Cer/bamics for body & glazing of Tiles and Sanitary Wares. - In paper it is used as filler. It is also used for paper coating purpose. - It is used in paint also to extend Titanium Dioxide (TiO2) and modify gloss level. - It is used in rubber to enhance reinforcement properties. Search More Like "Ball Clay"